With the aim to help save the environment, designers Sukwon Park and Sungwoo Park joint hands with other designers and created the Armstrong Bin. 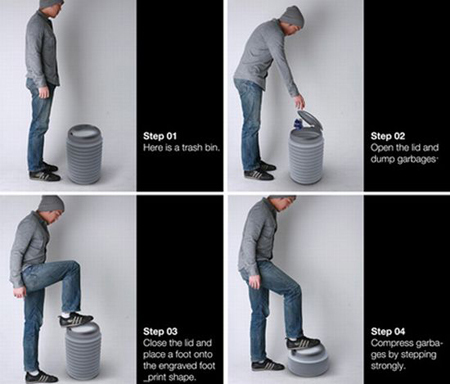 This cool and stylish bin will harness the use of garbage bags. 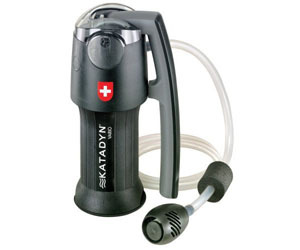 What is the catch and it was considered as an eco-friendly product? 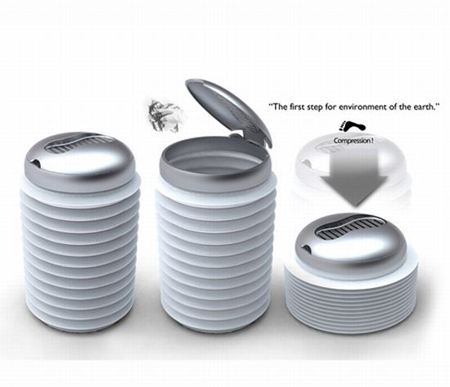 Well the concept of the Armstrong bin itself made this product an eco-friendly one. When throwing a garbage, you just simply open the lid, throw your garbage, close the lid and step to the foot mark seen on top of the lid and press it downward by stepping strongly to compress the garbage, thus minimizes the use of garbage bag and reduces wastes. 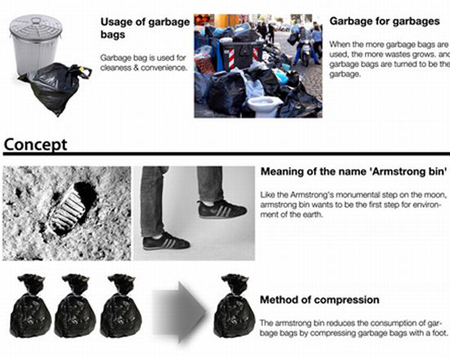 I’d like to know where I can buy the Armstrong Bin.